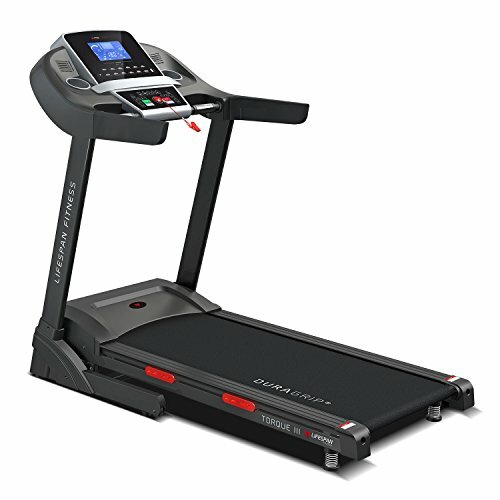 If you are looking to buy a treadmill for home use you may have already noticed that they can get very expensive. With top of the range commercial models costing thousands of dollars, the high price can put many people off buying one altogether. However, there really is no need to spend over the odds on a gym quality/commercial treadmill, especially if you are only planning to use it at home. 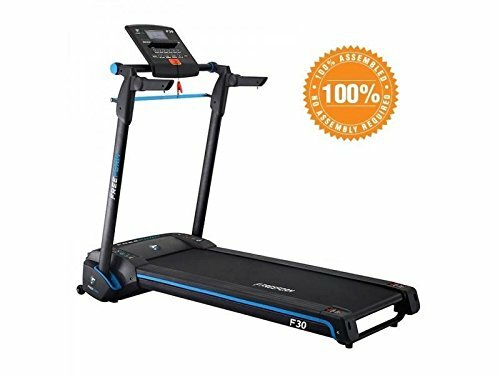 With so many treadmills to choose from and plenty of reputable brands it is possible to buy a very good home treadmill for an affordable price. In this article i will be giving you my top 5 recommendations on what i think are the best treadmills under $1000 Australia has to offer. All of my top 5 choices come with very good customer feedback from previous buyers and offer good value for money in terms of quality/price ratio. 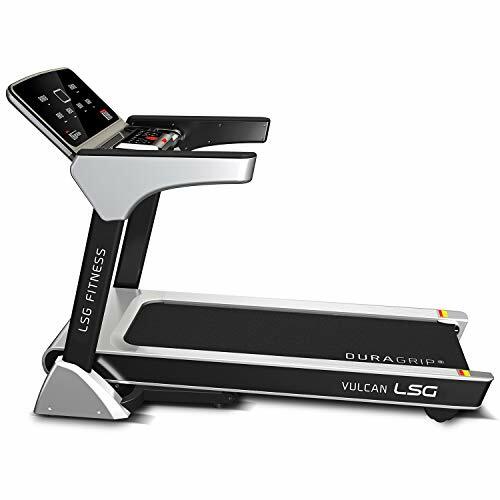 The LSG Torque 3 Treadmill comes in at just under $1000 and for the price it has an awful lot to offer. With a very impressive 99 training programmes there is more than enough to provide varied workouts for a long time to come. In addition it also features 3 custom programs which allows you to design your very own workouts. It comes with a very powerful continuous 4HP motor that gives the LSG Torque 3 a top speed of 18km/h. The running deck has a very good size and at 130cm x 54 cm it plenty of running space. Furthermore the built-in Shock Control Suspension helps to reduce impact on the joints. 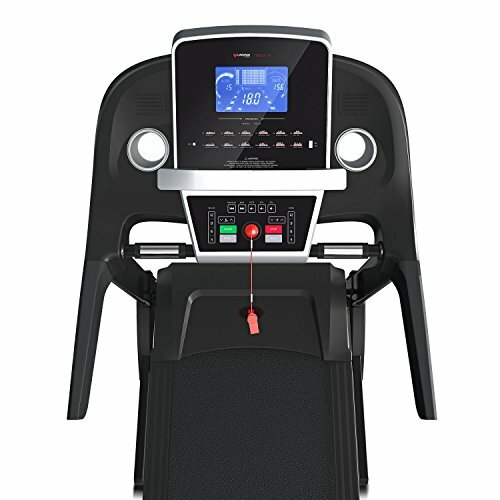 There is a large LCD display which shows the users time, speed, incline, distance, pulse, and calories. 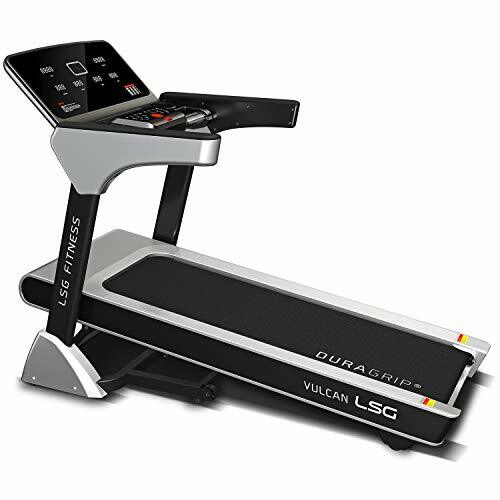 With 20 levels of incline there is a grueling workout to be had with the LSG Torque 3, that is if you can handle it. Furthermore the Torque 3 is pulse belt compatible which allows for heart-rate training. In terms of design the Torque is solid, robust and very sturdy when in use. It comes with a maximum user weight of 160Kg which is also a good sign of a well-built running machine. Additional extras include 2 built-in speakers, water bottle holder, iPad/tablet stand and transportation wheels for portability in the home. At the top end of our budget the LSG Torque 3 comes recommended as my top choice. 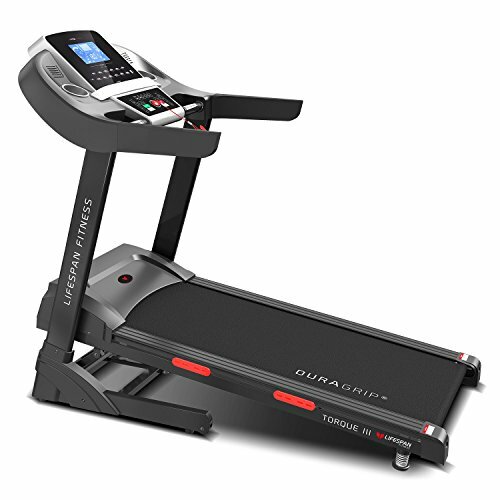 With all the features needed for a top rated home treadmill and more it offers excellent value for money. If you have looked at our treadmill comparisons you will see how good it is when compared to the other models in our top 5 list. EverDrive H6 Motor – Rely on the powerful 4.0 CHP EverDrive H6 Motor for consistent running speeds up to 18km/h and max weight of 160kg. 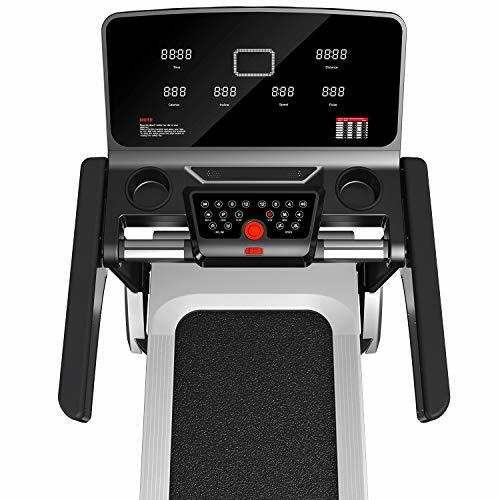 AUTOMATIC INCLINE – Get the heart pumping with 20 levels of automatic incline. FOLDABLE – HydraAssist system lets you effortlessly fold and store the Torque when not in use. SUPREME CONTROL – Large LCD display and workout control with 99 preset programs and 3 custom workouts. 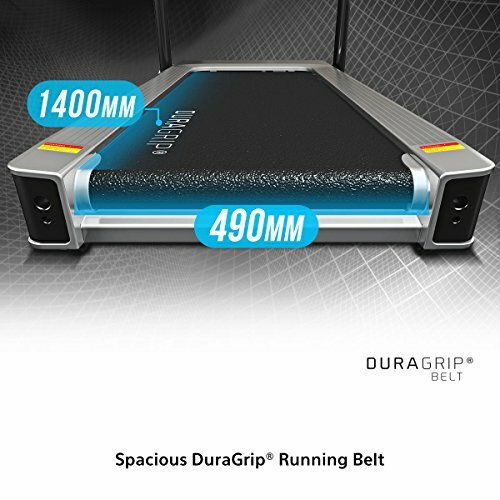 SPACIOUS BELT – Run confidently on a 1300mm x 540mm (L x W) running surface with DuraGrip Belt. 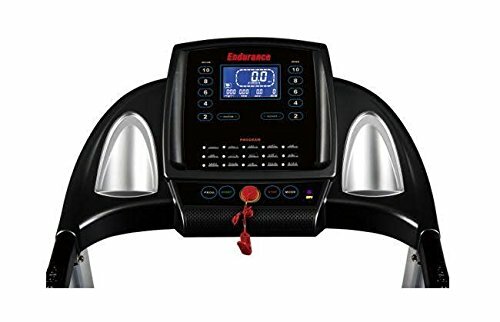 The Endurance Spirit Treadmill is one of the best-selling treadmills in Australia. It comes with excellent customer reviews from previous buyers on Amazon. In addition it also comes recommended as Amazon’s choice model. 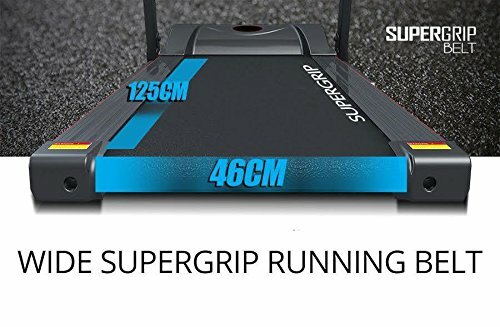 With some very good features and specifications and at a reasonable price it’s no wonder it ranks high in many treadmill reviews and comparisons. It features a very powerful motor and at 2.5HP it provides a maximum top speed of 20Km/h. There aren’t too many people who will need a running machine with a faster top speed, maybe Usain Bolt or a cheetah! The space-saving design is another positive feature of this model. Due to the folding mechanism it folds away easily and has a relatively small footprint. Unless you have a lot of space in your home gym, I would always suggest buying a foldable treadmill. In terms of exercise options there are plenty to keep users entertained on their journey towards their fitness goals. For keeping track of any progress the LCD display tracks various readouts these include, time, speed distance and calories. Furthermore there are a good number of pre-set programmes offering a wide variety of workouts. In addition the 15 levels of adjustable incline make for a high intensity workout, prepare to feel those calves burn. Finally the running deck features a built-in cushioning system that helps to reduce impact on the joints. Endurance seems to have got their cushioning system spot on as there are a good number of customer reviews praising its effectiveness. 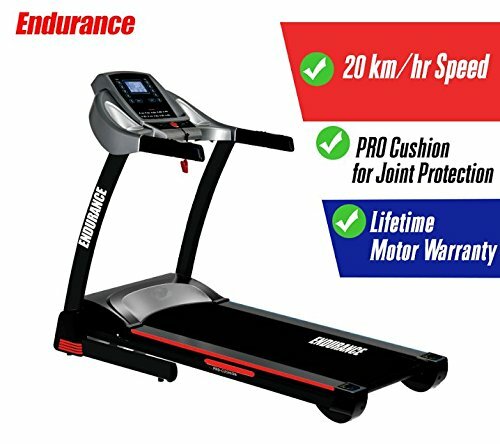 To sum up the Endurance Spirit is without doubt one of the best treadmills for home use in Australia. 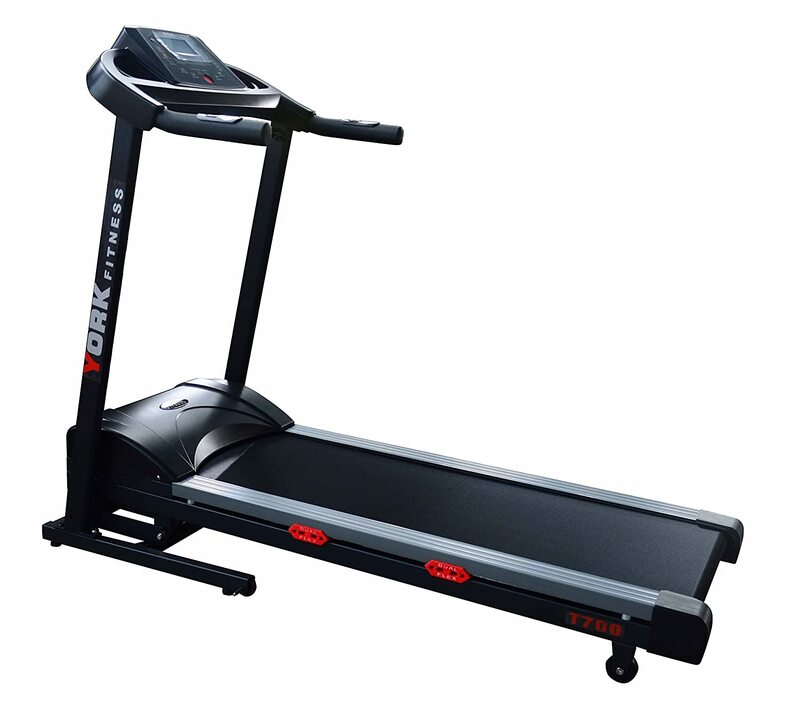 It provides exceptional quality and has more to offer in terms of features and specifications than other far more expensive running machines. Space saver design. 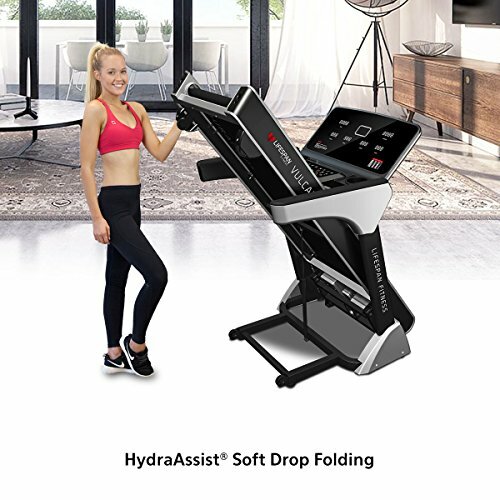 This treadmill can fold up and is on wheels. Fully Assembled in Box - Just Unfold and Put in 6 Bolts! 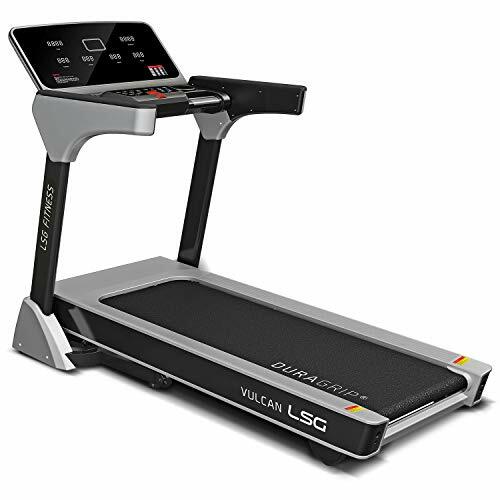 The Lifespan Fitness Vulcan Treadmill is a beast of a machine just from looking at it you can tell how sturdy and robust it is. With a maximum user weight of 160 Kg it is without doubt a very well-built treadmill perfect for regular use. Featuring a 4HP motor it can reach speeds of 18 km/h and surprisingly it is very quiet with minimal noise and vibrations. In total it comes with 15 preset programmes and 3 custom workouts. The large LCD display tracks time, distance, speed, pulse, incline, calories, and tracks your progress live on a virtual 400m running track. For entertainment it comes with Bluetooth connectivity allowing users to play their favourite music through the built-in speakers. With a large running area of 140cm x 49cm there is more than enough room to enjoy your workout without feeling restricted. 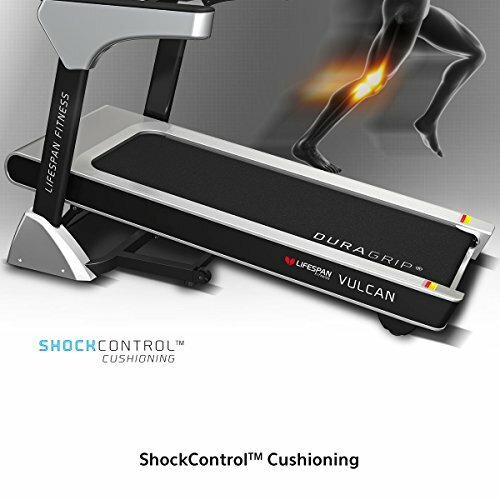 In addition the Duragrip running belt provides excellent grip and the ShockControl Cushioning is a very good addition reducing impact on the joints. With 15 levels of incline this home treadmill is more than capable of offering a lung bursting workout. The built-in pulse sensors are perfect for keeping an eye on the old ticker ensuring you don’t push it too far. 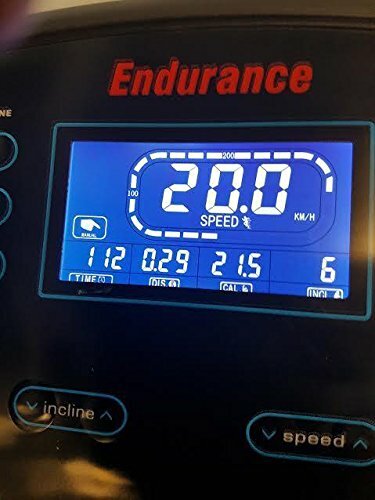 To sum up this is an excellent treadmill for home use with all the features you could want in a home treadmill and at a good price. For those thinking it might take up too much room, it is a folding treadmill and with dimensions of 112 x 86 x 154cm it isn’t as bad as you may think. 4.0 CHP MOTOR – our powerful EverDrive H5 Motor delivers speeds up to 18km/h and supports a 160kg max user weight. 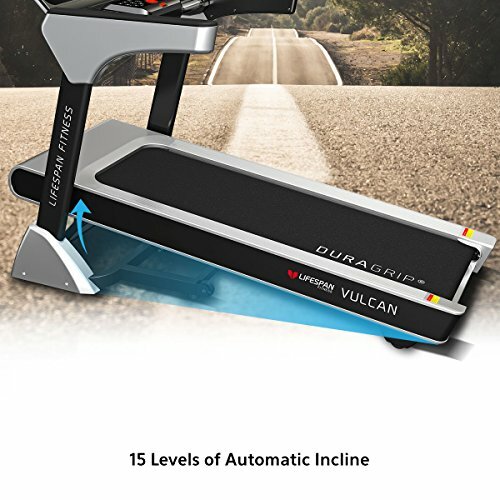 AUTOMATIC INCLINE – Get the heart pumping with 15 levels of automatic incline. FOLDABLE – HydraAssist system lets you effortlessly fold and store the Vulcan when not in use. 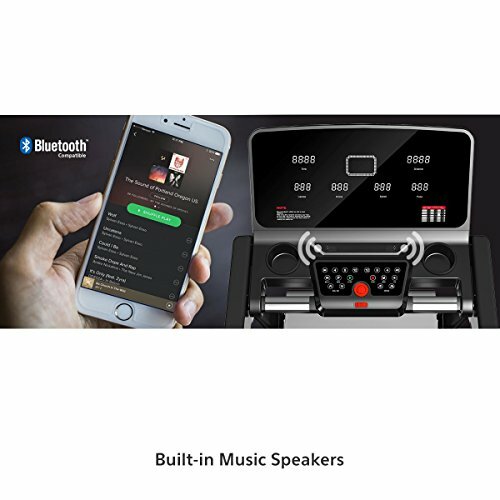 BLUETOOTH CONNECTIVITY – Play your favourite tunes with Bluetooth connectivity and high quality speakers. Backlit LCD Display – Track your important workout data and view your progress on the virtual 400m track. 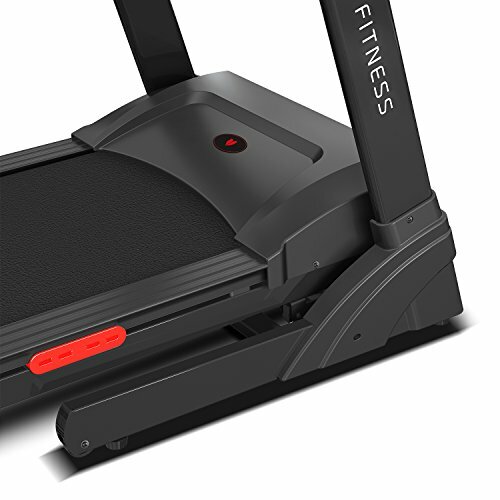 The Freeform F30 is the perfect no hassle treadmill as it comes pre-assembled and ready to go. If you aren’t the best with a screwdriver and instruction manual then this may be the one for you. 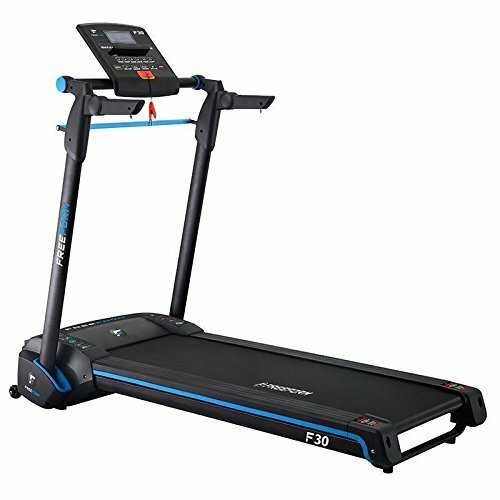 The F30 is one of six treadmills in Freedom F series others include the F20, F40, F60, F80 and F100. To see them all and compare their features click here. It comes with a Hi Torque motor that runs continuous at 2HP and provides a very respectable maximum speed of 13-km/h. In addition the motor is encased ensuring it runs as quiet as possible, which is a good feature to have on a home treadmill. 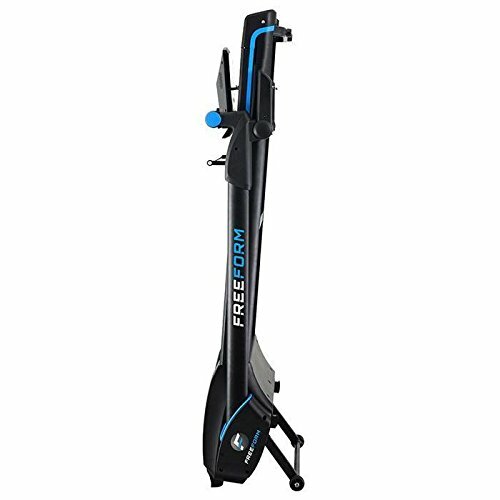 Another essential feature of any of the best home treadmills is a folding mechanism, which of course the Freeform F30 has. It features a fairly large running area of 123cm x 45cm and despite the lack of a cushioning system it is quite comfortable to run on for long periods. The LCD is large enough to see clearly and navigating through the various settings and 10 pre-set programmes is simple enough. The only thing lacking on the LCD is a button to adjust the incline, unfortunately the Freeform F30 doesn’t have an incline, which is a shame. Aside from that it ticks all the right boxes for a good home treadmill under $1000. York Fitness have been making fitness equipment and exercise machines for well over 100 years. In that time you can imagine they have learnt a thing or two about what makes a very good exercise machine. With that been said, they are recognised as one of the best fitness brands in the world and their treadmills aren’t too bad either. The York T700 Treadmill has a top speed of 16km/h. The motor isn’t the most powerful, which doesn’t seem to be a problem as there is no negative customer feedback to be found with regards to its power. There is an incline option and it provides 15 levels of automatic adjustable incline. The top setting is more than adequate for giving the leg muscles a tough workout. In terms of programmes there is a good range with the T700. In total there are 13 manual programmes, 11 built-in pre-set programmes and finally 1 body fat training programme. 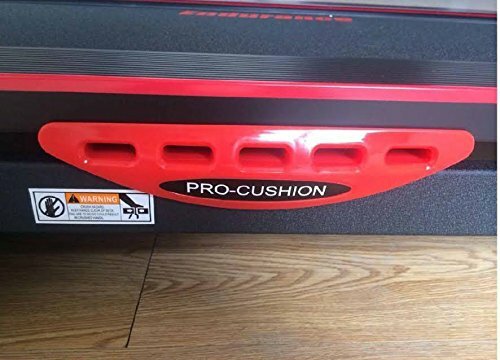 The running deck has dimensions of 130cm x 42cm and is well within the range for a good treadmill for home use. The folding mechanism for folding the T700 up when finished is simple to use and only requires you to push a button. Like all of the best treadmills the T700 features built-in speakers allowing users to play their favourite music while exercising. As we all know music is a great motivator for when exercising getting many people pumped and working out longer. The only negative thing to say about this running machine is its relatively low maximum user weight of 110Kg. This will undoubtedly make it unsuitable for some people. However, if you weigh under 110Kg (you should be) this one is definitely worth taking a look at. 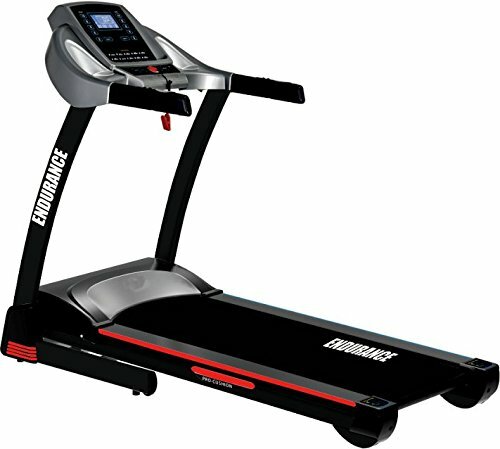 For under $1000 there are a wide variety of treadmills for home use available to buy. Hopefully, you managed to find what you was looking for in our top 5 choices. If you can think of a treadmill worthy of a place in our top list then please comment below. If it provides good value for money and is up to standard we will be more than happy to add it to our list.